Insook Baik knows what it's like to go to bed hungry. She grew up in South Korea during the Korean War, she said, and her family didn't always have enough to eat. But things for her are different now. 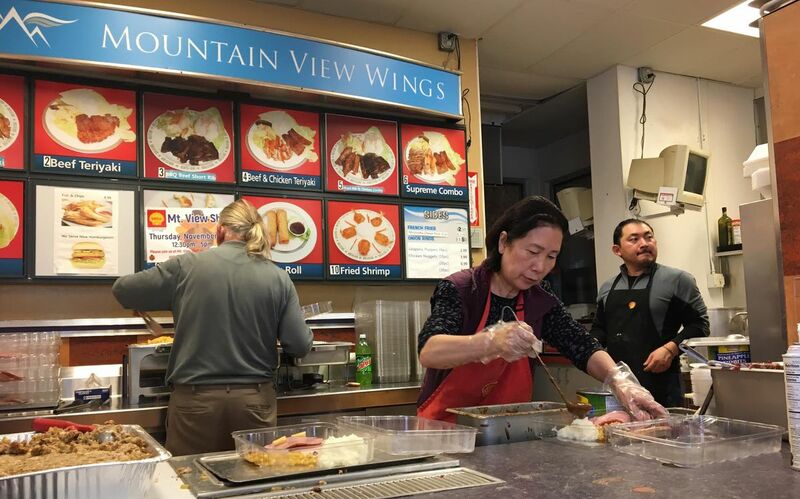 "I got a lot of blessings from God," Baik said on Thursday as she ladled gravy on mashed potatoes in the crowded convenience store at the Shell gas station that she owns in Anchorage's Mountain View neighborhood. 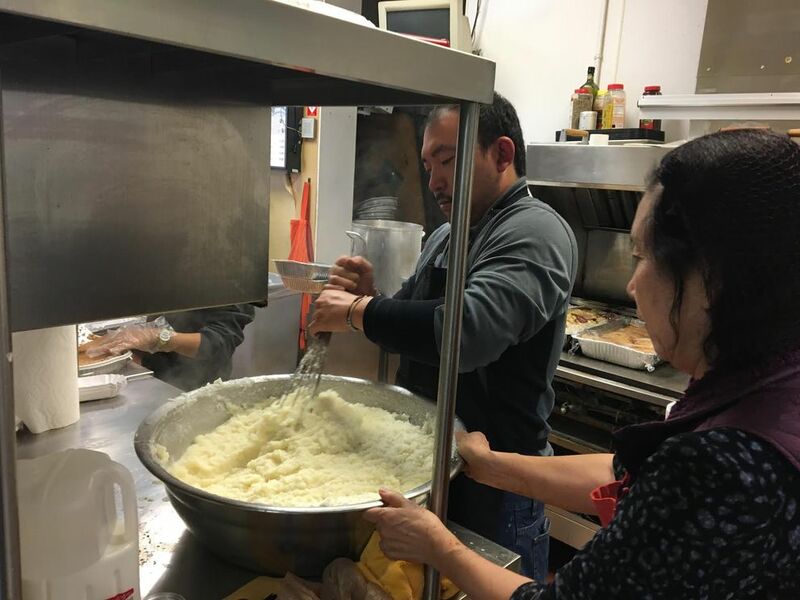 For about eight years, Baik has bought enough food to serve hundreds of free meals at the store each Thanksgiving Day. Baik said she wants to give back, and she wants to feed people. She said she cares about the neighborhood. "She's fallen in love with the community here. It's one of the few places where people will give their last dollar to each other," said Baik's son, Peter, who is visiting from California. "I think that pulls at her heartstrings." Baik said she sees immigrants in Mountain View, just like herself. She said she also sees people who look hungry. On Thursday, dozens of people stood in a line that snaked among the convenience store shelves. Baik and a collection of volunteers, including her son, assembled to-go containers brimming with ham, turkey, mashed potatoes, gravy, corn, stuffing and pumpkin pie topped with whipped cream. "I want everything perfect, so it looks like what I would feed my children," Baik said. Everything she purchased for the day, she said, was exactly what she would feed her family. 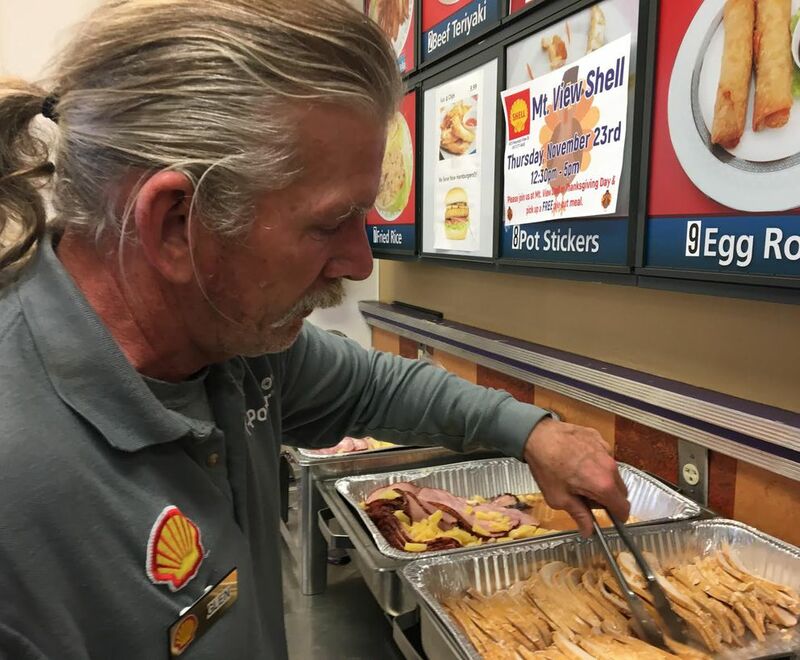 Baik expected they would serve at least 600 people at the convenience store Thursday afternoon. Last year, she said, they gave out about 620 meals. With the warm meal, each person in line also got a can of soda and a banana. If they asked for more than one container of food, they got it. "I just feel so blessed," said one man who started to cry as he approached the front of the line. "This is such a blessing for me." Another man, Harvey Koweluk, took his container of food outside and sat on the nearby curb. 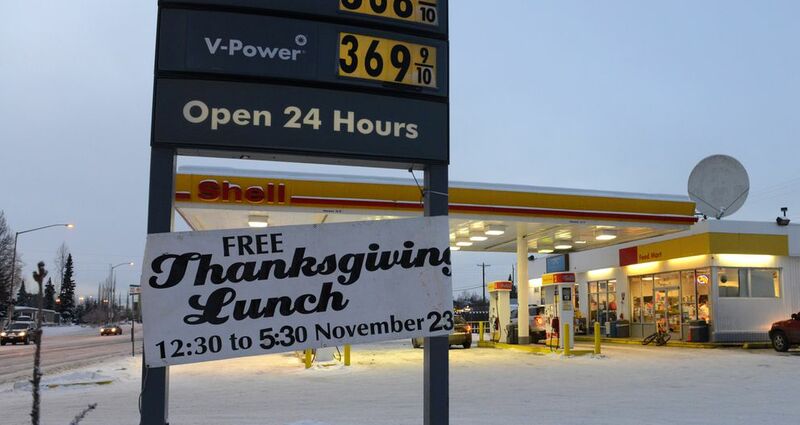 "I'm very grateful and God bless the Shell," Koweluk, 57, said. 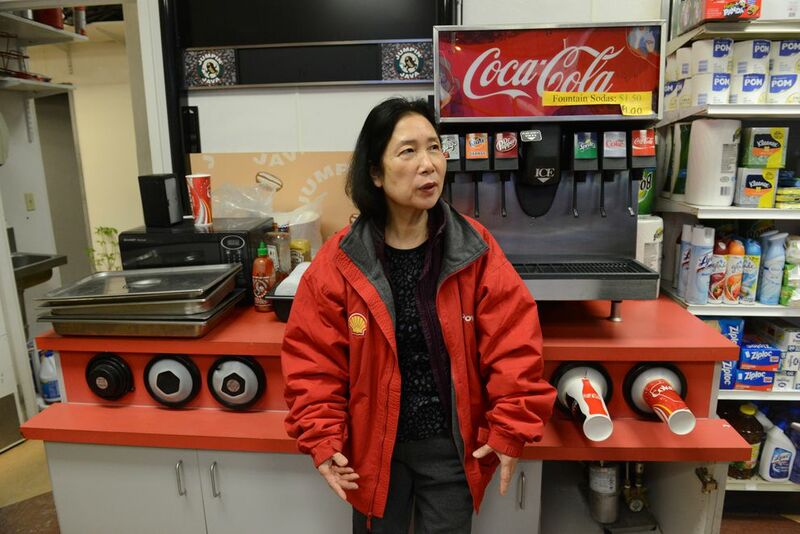 Baik said she has lived in Anchorage for about 35 years and has owned the Mountain View gas station for about a decade. She also owns another Shell station in Midtown. On Thursday, she said, "I just feel happy." The day before, she had picked up turkey for the Thanksgiving Day meals and as she drove with her car full of food, she said, "I cried, 'Thank you God.' I was hungry all the time and now I can serve."